The flower of purity, divinity, and rebirth, paired with the gemstone of purity and peace. 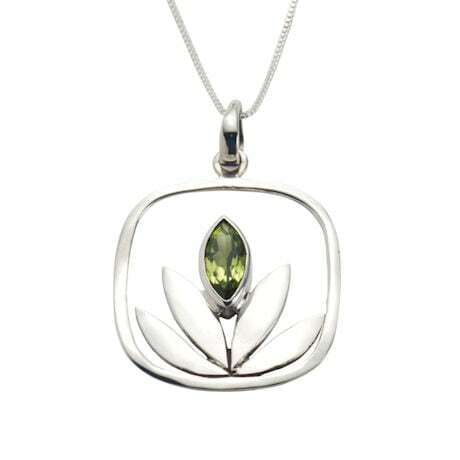 Faceted marquis peridots nestle in sterling bezels perched on sterling petals, all held within delicate frames. 1" square pendant arrives on an 18" sterling box chain. Earrings hang 1 ½" on French wires. All are made by hand in Indonesia.